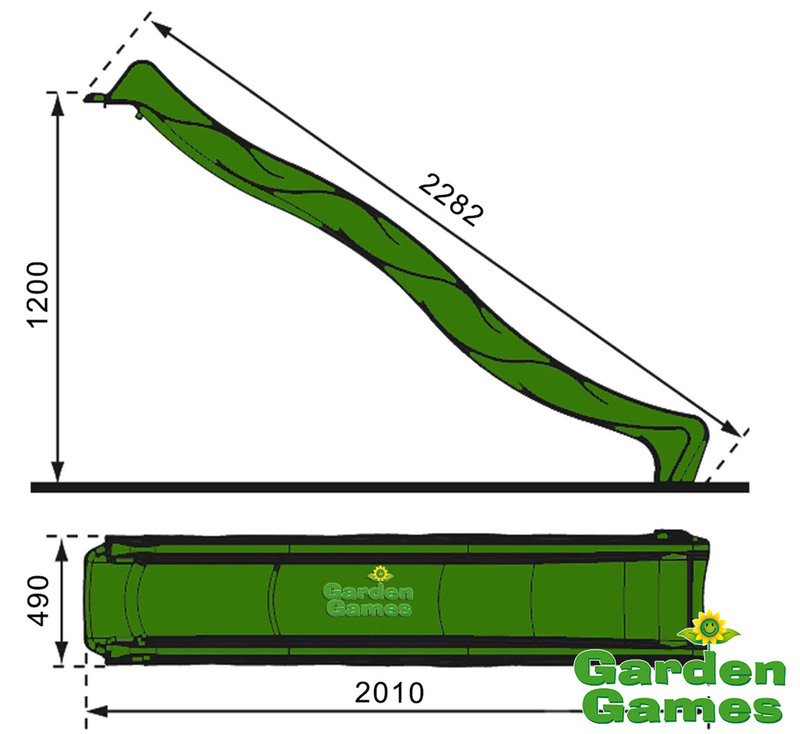 This 2.3m Green Children's Wavy Slide is the perfect accessory for your climbing frame or even a DIY project you may be doing - perfect for any 1.2 metre platform (Not suitable for a metal tubing frame). 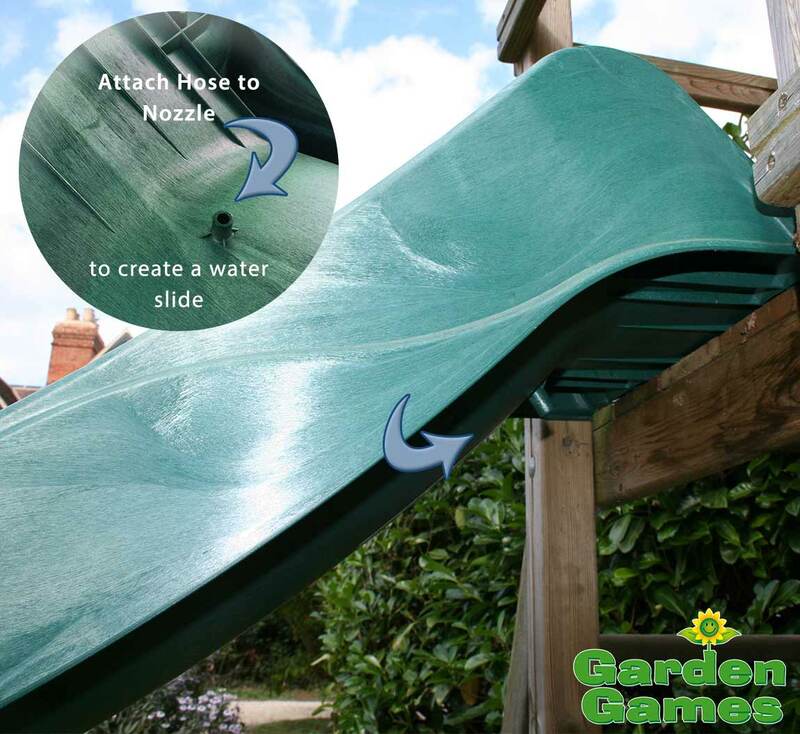 The slide has an added feature of an in-built hose attachment which transforms this from a normal slide to a water slide for those long hot summer days! 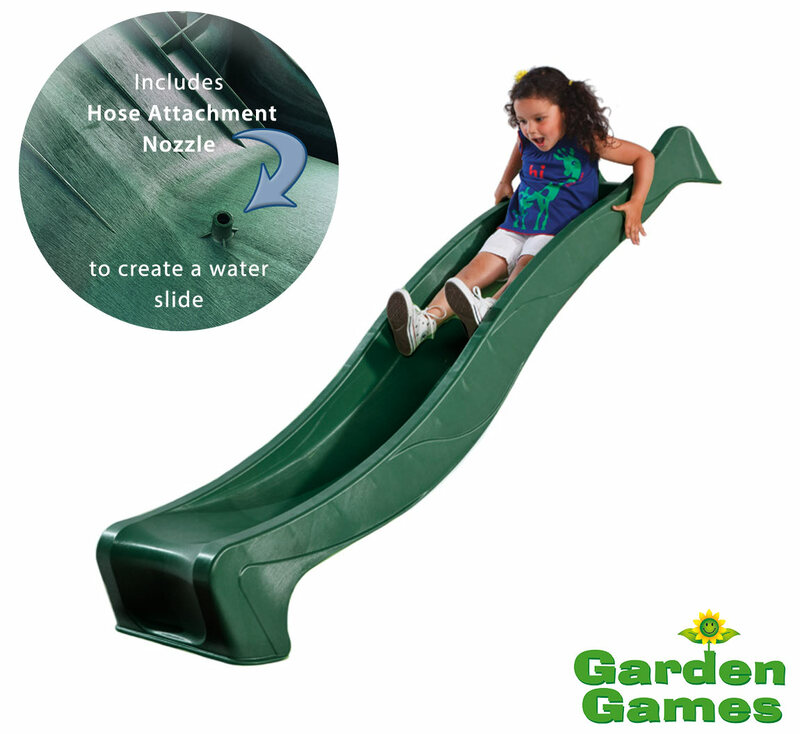 The slide is made from an extremely tough injection moulded plastic which means it is very hard wearing and durable. 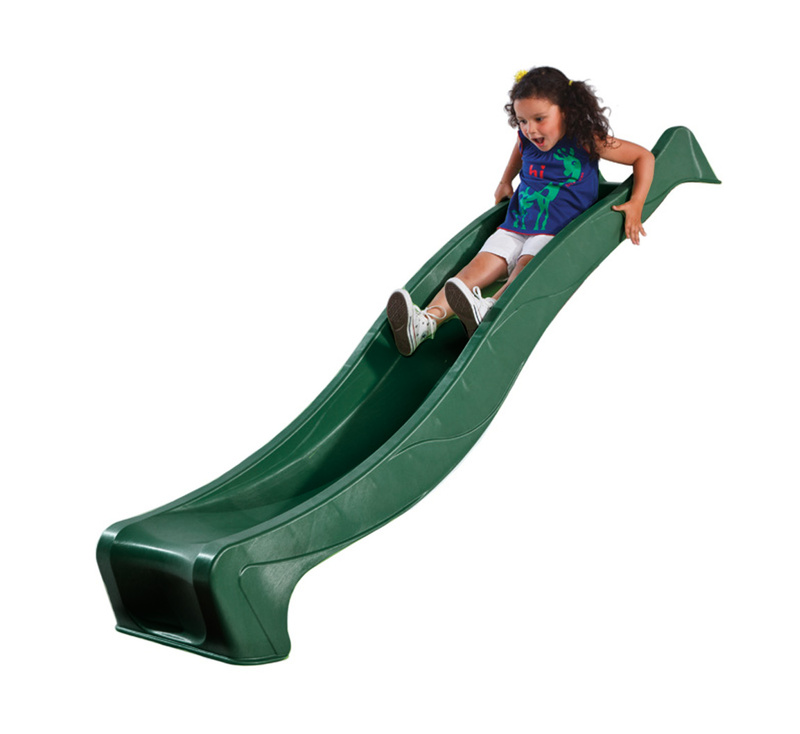 The slide will last a long time and you can also have confidence in the safety of your child whilst they are using it. The type of plastic used is in fact made with a particular material which will not fade in the sun as well as being hardy against the winter's rain frost and snow. You can be sure that the slide will remain strong and sturdy through whatever weather this country may throw at it! The way design makes this slide more fun that a normal straight slide as well as making their play equipment look more interesting! 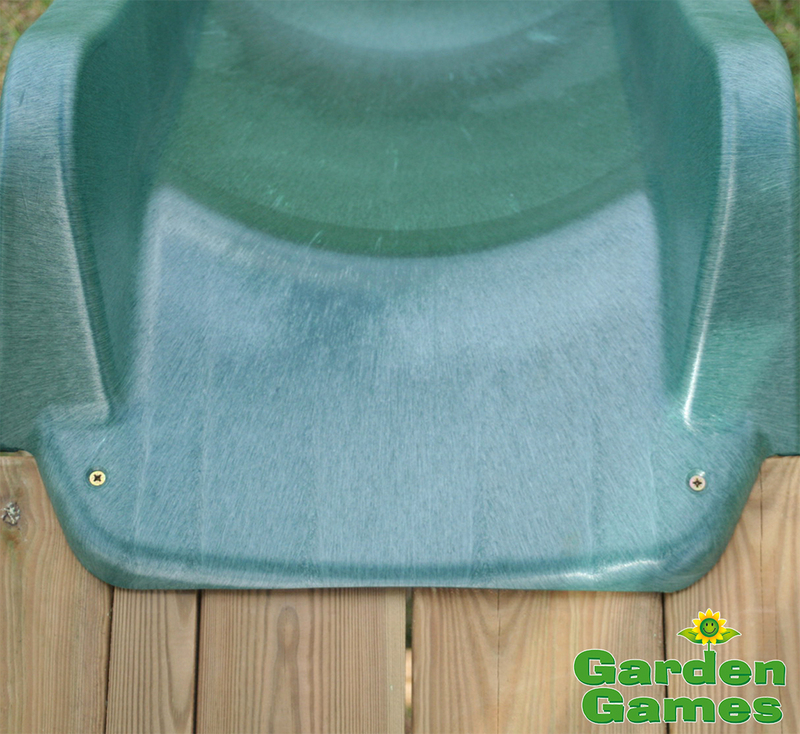 The slide has pre-drilled holes at the top so is really easy to install - just screw in two counter-sunk screws (approx. 5mm or 6mm) to your platform and your kids can start sliding!